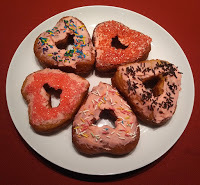 Last year about this time, Misty and I were enjoying heart-shaped donuts in our friend Emily's donut shop, Deputy Donut. We were also teasing each other because none of the three of us could expect a Valentine gift or card from anyone. "Maybe next year," Emily said. At that time, Misty was interested in our fire chief, Scott, and Emily thought that Detective Brent Fyne was just right for me. However, we're all still hoping that Scott will notice how right Misty is for him. And Misty and I knew something that Emily didn't seem to grasp--Brent is sweet on her. And then, and then . . . in October Misty, who is a police officer, showed up with a new patrol partner. I didn't believe in love at first sight until I met Hooligan Houlihan. Misty and Emily immediately switched from teasng me about Brent to teasing me about Hooligan. That's not his real first name, of course. His schoolmates started calling him that in grade school, and it stuck. He says he likes it better than his real name, but he won't tell me what his real name is! I like him too much to pry. I'm an Emergency Medical Technician, so we've seen each other and worked together at emergencies. Even better, we've gone out several times, and he's a keeper. I think he feels the same way about me. Misty, Emily, and I have been best friends since we met in junior high, but I'm not quite ready to tell these two good friends that I think that this could be the year I receive a really meaningful Valentine. They'd take credit for matchmaking, and really, all Misty had to do was make certain that Hooligan and I met, and that was it. So . . . I'm thinking of making something yummy for Hooligan and giving it to him on Valentine's Day. Fudge, maybe. I could buy him some of Emily's donuts, which are delicious, but I'd rather make something myself. What do you think? Would you give a man you've only dated a few times a Valentine? Do you think he'll give me one? 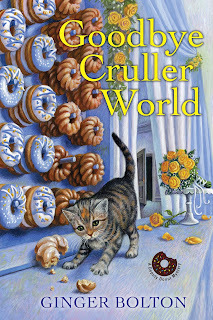 Answer in the comments below for a chance to win a sweet treat yourself--a copy of the second book in the Deputy Donut series, GOODBYE CRULLER WORLD. You'll be right there when Samantha and Hooligan meet for the first time. 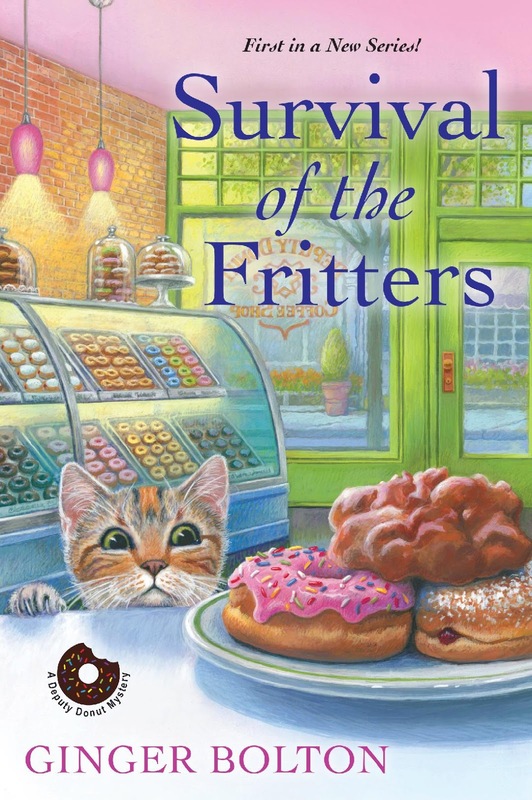 The first mystery in the Deputy Donut Series is SURVIVAL OF THE FRITTERS. Read an excerpt. 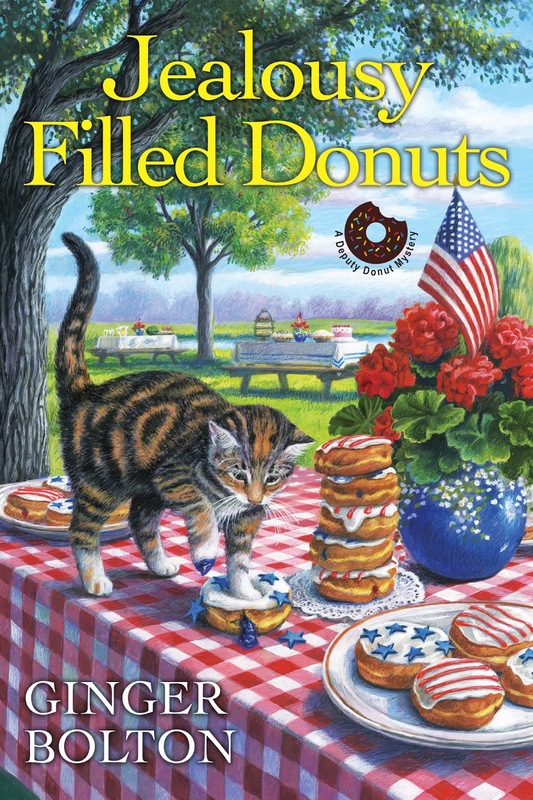 The third book, JEALOUSY FILLED DONUTS, will be released in September. It's available for pre-order. Yes, I would! Valentine's Day is about love of all types: friends, family and spouses! Even include your pets! I love this series and I love the cover of book three! I would. Valentine's Day is so much fun. Depends how much I like him and how much I think he likes me! Donuts would be a perfect gift---and nice to share, too. Yes, I would. Nothing too over the top, just a little something. I am SO far out of that dating, should I?, shouldn't I?, craziness. Thank goodness. Does he have a favorite dessert? I am not much to celebrate Valentine's Day. The miser in me waits for 50% off candy. I agree, I would too. Lovely to receive one. Yes I would and hopefully he would give me one too. I think a fun, lighthearted Valentine card would be okay. In terms of making him a treat, you can never go wrong with chocolate truffles, unless he hates chocolate. And they really aren't that hard to make, with so many recipe versions available online. I probably wouldn't unless we had plans to go out. If I did, it would be something lighthearted and funny. I might bake him some cookies but no other gift. Thank you all for your responses and comments. Samantha is thinking that chocolate chip cookies are kind of safe, and she knows that Hooligan loves them. 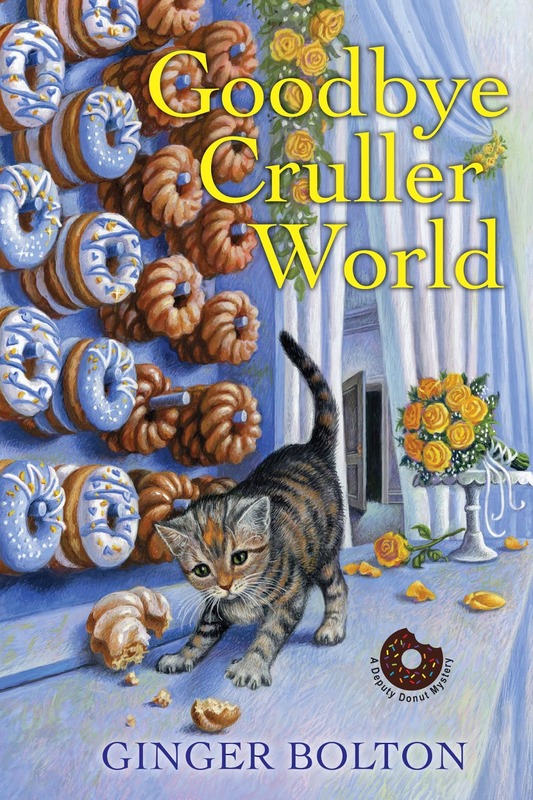 Congratulations to Jana Leah B, the winner of a copy of Goodbye Cruller World.